The emoticons of a yellow cat designed by cartoonist Li Weiyi has received more than 1.6 million hits on zcool.com.cn, a platform which brings art designers together with their followers. The iconic yellow cat named EGGY can usually be seen expressing a number of joyful, gentle, tender, if not, naughty expressions, in the company of a pink puffy kitty called PUPU. "All what I want is to create something true to life," Li said. Hailing from China's northeast region, Li graduated with a bachelor in storyboard from the prestigious China Academy of Art, established in 1928 on the picturesque lakeside in Hangzhou, Zhejiang province. At university, Li spent swathes of time in the library reading a wide range of books covering photography, design and Chinese geomancy, the practice of searching for appropriate locations based on the "Book of Changes." 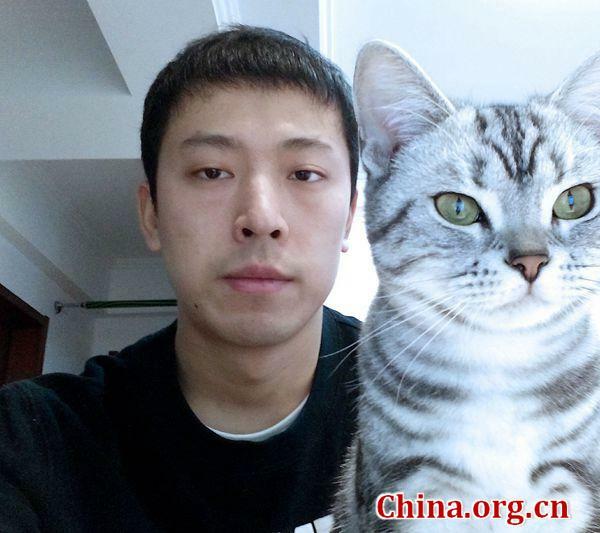 Upon graduation, he worked from 2011 to 2012 for Nanjing Original Force, an animation studio, which enjoyed an exclusive partnership with DreamWorks Studios across China. He then moved to Beijing and worked as a storyboard artist in a motion graphic office, but soon bored of the work-commuting life, he quit his job and started his own studio. In 2014, after completing the design of the first nine emoticons as the prototype of EGGY in Weihai, Shandong province, they were relayed more than 1,000 times. "I have a great affection for cats and revere their independent spirit. The creation of EGGY was inspired by an accidental rendezvous with a cat raised by my friend," Li recalled. In 2016, he rolled out his first series of EGGY and PUPU emoticons on WeChat, China's most popular social media platform. Because of their diverse, precise, mischievous and lovely expressions reflecting the feelings of happiness, joy, sadness and anger, the images soon won the favor among WeChat users and opened a window of opportunity to seize an even broader market. Mesmerized by the refreshing design of the emoticons, Coco Zhang (Lihua), CEO of the Shanghai Skynet Brand Management Co Ltd, a privately owned merchandise company, initiated contact with Li. "I appreciate Li's world outlook mirrored by the relation and interaction between the designs of EGGY and PUPU. A good creation can always attract people sharing the same value," said Zhang. Established in 2006, Zhang's company targets mostly female costumers aged between 15 and 30 years old. Over the past 12 years, the company has undergone many ups and downs while merchandizing the brands, such as, Happy Lamb and Grey Wolf, Disney, Ali the Fox and 20th Century Fox. In recent years, the company has come to realize the importance of originality and developed its flagship product called Teddy Bear. Last year, the company had an initial public offering on China's new third board with nearly 100 licenses for its merchandise and its retail sales hitting 1 billion yuan (US$150 million). To maintain the good momentum, it plans to expand its merchandise brands, including, EGGY and PUPU, to southeast Asia. Yet, despite the leapfrogging business growth, Li remains calm. Even though he works 12 hours a day creating new emoticons and updating short videos, he believes good products need time to be established. "In the western world, contemporary art has evolved from an unbroken chain of classical arts in history. Since the progress of art cannot be over accelerated, the cultivation of artistic tastes and creations should be put forward from one step at a time," Li said. 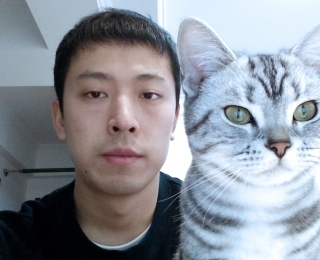 Cartoonist Li Weiyi started his own studio and now his cat emoticons have taken the internet by storm.